Home > News > Tips of our bike tour ①!!! Before busy holiday season begins, I would like to introduce our bike tours more! 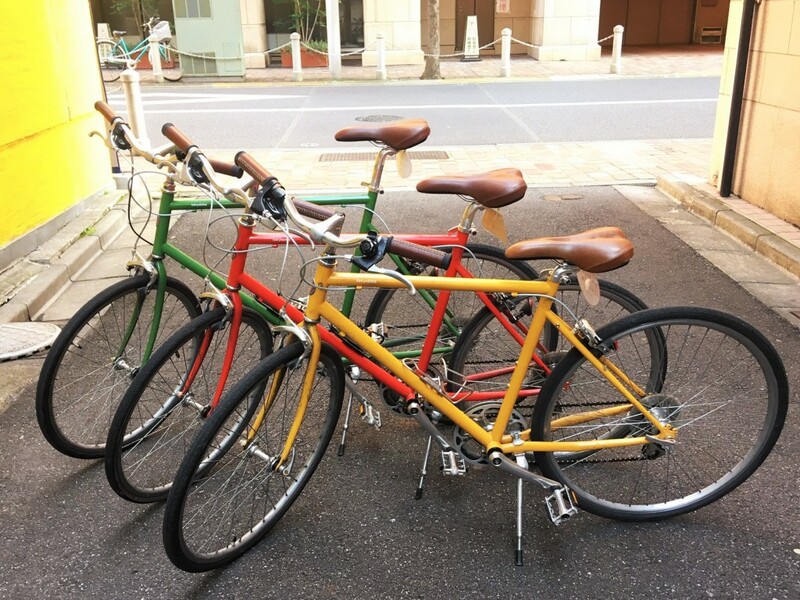 We are using 8-speed cross bike (tokyobike26) made by tokyobike. The tires are not thin like road bikes, so it’s steady. We also have smaller bikes fit from 145cm. Based on our experience, cross bike is the most suitable to explore the city. Tokyo has many places to see, during the ride too. We want guests to enjoy each spot and also the view from bicycle! We don’t go super fast. However it’s required to know how to ride a bicycle. The guide has been studying Tokyo’s streets, the timing of traffic lights, the characteristic of drivers by types of car, number plate, private car/ taxi/ truck/ bus, etc. We are trying to choose the safety first routes!